A house modeled after the home featured in the animated movie ”Up” has been sold to a family who are self-described Disney and Pixar fanatics. Clinton and Lynette Hamblin of Pentaluma, California, are buying the home in Herriman, Utah, for $400,000. 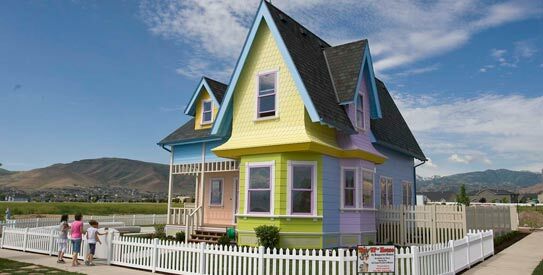 The Hamblins say they were searching for a home in California that was similar to the colorful cottage seen in the movie when they heard about the Disney-approved ”Up” house in Utah.